PLEASE NOTE: Each product in PayKickstart would use the default level selection. Due to limitations with ClickFunnels API the PayKickstart integration can only add members to Clickfunnels at this time, but cannot assign to a specific product level. 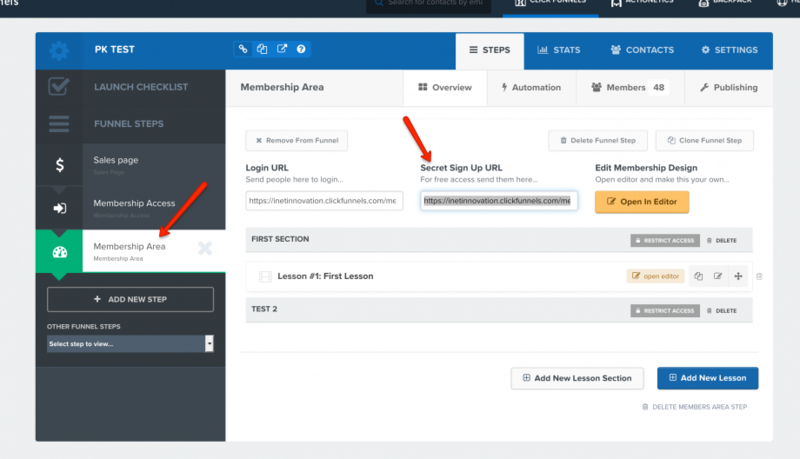 Click on “Funnels” then select the funnel that contains the membership site you built in ClickFunnels. *NOTE: Please select “PayPal” in the 3rd party membership access. You will have the option inside PayKickstart to select other payments gateways for customer use, this is just a way for PayKickstart to interface with the ClickFunnels integration. ClickFunnels will provide you with a unique “Webhook URL” that you will need to enter into PayKickstart. 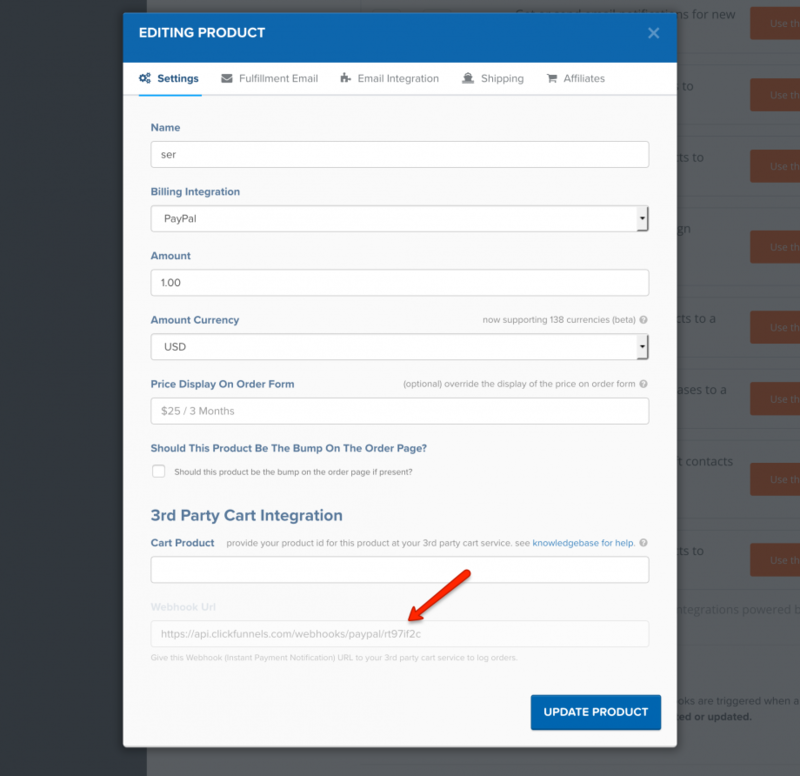 Then inside PayKickstart, go to the CAMPAIGN settings where your product is located. Go to step 3 “Integrations” and select ClickFunnels as the integration. Add your Webhook URL and Secret Signup URL that ClickFunnels provided in the appropriate fields. Finally, select the ClickFunnels integration and the Clickfunnels default level in the PRODUCT settings. PLEASE NOTE: Each product in PayKickstart would use the default level selection. Due to limitations with ClickFunnels API the PayKickstart integration can only add members to Clickfunnelsat this time, but cannot assign to a specific product level. You will need to manually add customers to the appropriate membership levels. You’re good to go. Now when someone purchases that product, ClickFunnels will create a membership account for the customer in your Clcikfunnels account. NOTE: Unfortunately ClickFunnel’s API does NOT support the ability to automatically remove access/plan/membership level upon a refund or subscription cancellation. It must be done inside of the admin panel.